UM Legislative News Service) In 2017, the state Department of Health and Human Services reported that approximately 100 babies every year experience drug withdrawal in Montana. 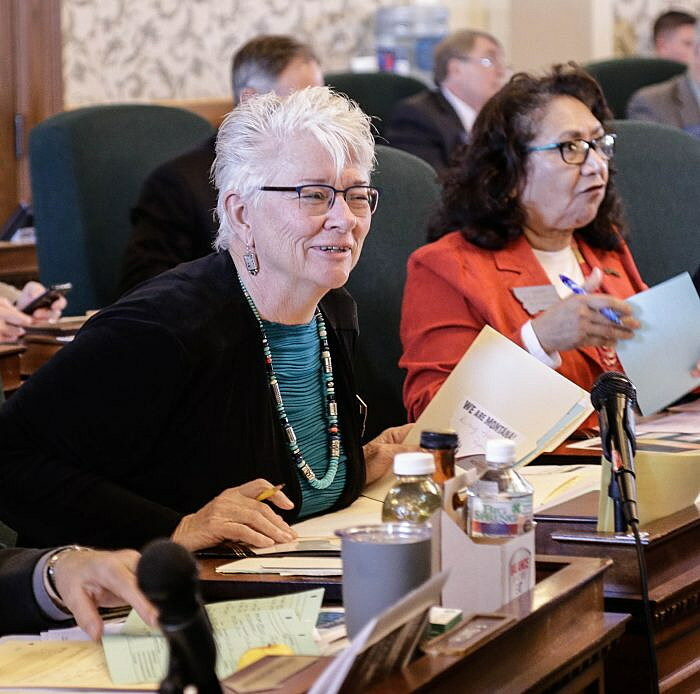 Sen. Diane Sands, D-Missoula, is carrying Senate Bill 289, which would provide a safe harbor from prosecution for pregnant women who seek addiction treatment. “If by coming in for health care you are admitting to a felony, that’s a real disincentive for people to get health care,” Sands said. The bill passed the Senate 50-0 and has moved to the House. It builds on another bill, which was tabled earlier this session, from Rep. Kimberly Dudik, D-Missoula. Dudik’s House Bill 309 would have created the same safe harbor as SB 289, but also would have created a grant program through DPHHS to help local health providers create drug treatment programs for pregnant women. That bill likely won’t move forward. Sands says the Montana Healthcare Foundation already has a similar grant program to assist hospitals in implementing best practices for addicted moms and babies in neonatal units. Benefis Health System in Great Falls received one of these $150,000 grants from the foundation. A representative for Benefis, Jessie Luther, supported the bill at its hearing in the House Human Services Committee Monday. “Mother and baby do statistically better if they’re able to receive safe harbor and start receiving treatment early,” Luther said. According to the healthcare foundation’s website, Benefis is using the grant to implement screening, brief intervention, and referral to care into its routine treatment of pregnant women. It will also partner with communities and tribes to encourage other health providers to implement similar models. The Montana Medical Association, the Montana Primary Care Association, the Association of Montana Public Health Officials and Billings Clinic support the measure. No one spoke in opposition. In December of 2017, the Missoulian partnered with the University of Montana School of Journalism to publish a series of stories focused on addiction and pregnancy, and how the state had fallen short to provide care for those seeking treatment. Those stories can be found here.